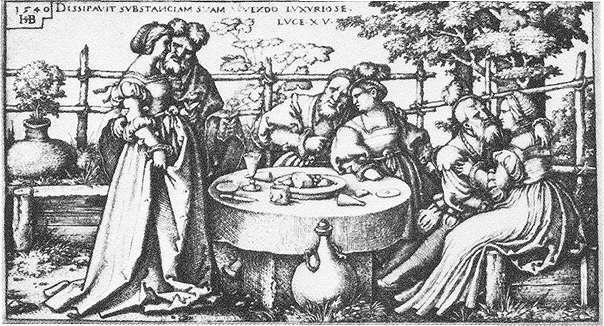 A copy of one of the original prints used for decor on this stein: “The prodigal son wasting his patrimony,” by Hans Sebald Behan – Dated 1549. 1.wastefully extravagant. He found himself guilty of prodigal spending during the holidays. He is not a prodigal son. 2. (often followed by of or with) someone yielding profusely, lavish She was a merry person, glad and prodigal of smiles. How can he be so prodigal with money on such a tight budget? “The Prodigal Son,” also known as “The Lost Son,” is one of the best known parables of Jesus. It appears only in the Gospel of Luke in the New Testament of the Bible. By tradition, it is usually read on the third Sunday of Lent. It is the third and final member of a trilogy, following the Parable of the Lost Sheep and the Parable of the Lost Coin. The story is found in Luke 15:11-32. Jesus tells the story of a man who has two sons. The younger demands his share of his inheritance while his father is still living. 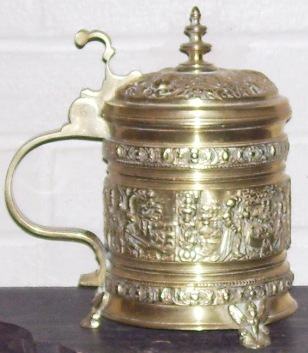 An interesting very heavy bronze version of a late 1600’s pewter stein. 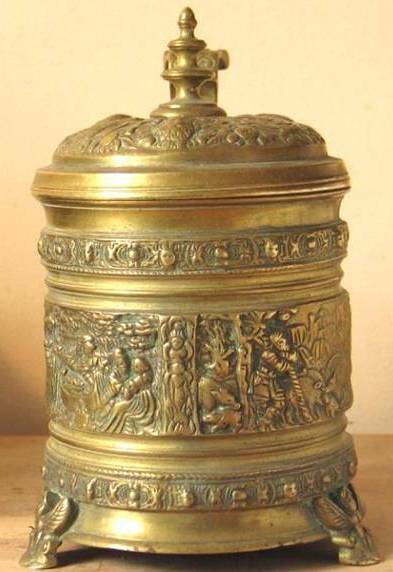 * This one is 6.5 inches tall, bottom of three feet to the lid top (finial not included) and 5 inches wide. 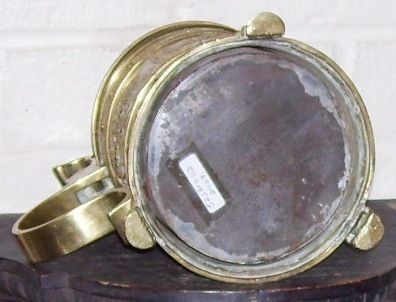 Circa 1860-80, and made for display purposes. Heavy! 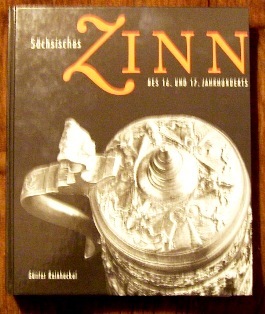 The scenes below were taken from the book “Sachsisches Zinn” and they depict the parable in four panels that wrap around the body of this bronze copy and the much older steins. FIRST SCENE The son gets his inheritance from his father and then leaves. THIRD SCENE – Eventually he has to take work as a swineherd (clearly a low point, as swine are unclean in Judaism). There he comes to his senses and decides to return home and throw himself on his father’s mercy, thinking that even if his father does disown him, being one of his servants is still far better than feeding pigs. FOURTH SCENE – But when he returns home, his father greets him with open arms and hardly gives him a chance to express his repentance. He kills a fatted calf to celebrate his return. The older brother resents the favored treatment of his faithless brother and complains of the lack of reward for his own faithfulness. But the father responds: “Son, thou art ever with me, and all that I have is thine. It was meet that we should make merry, and be glad: for this thy brother was dead, and is alive again; and was lost, and is found. FIRST SCENE: Taking his inheritance from his father. SECOND AND THIRD SCENES, [L]: Speeding his money unwisely with the “ladies” (that will do it every time!) [R]: He’s now broke and his new job is watching the swine (pigs). FOURTH SCENE – Coming home to father and begging for forgiveness. 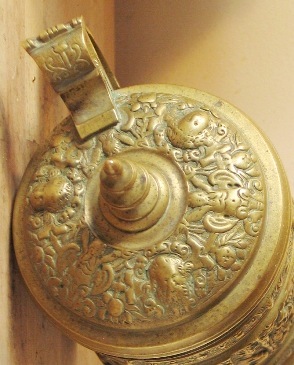 The base, which is really a tin cup inserted into the body and it is retractable. If the base was made of bronze also, it would have cost more initially (it wasn’t cheap back then) and the stein would be heavier than it is already was; one can’t hardly lift it now. 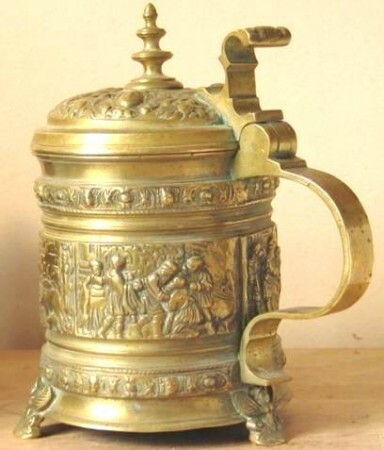 The stein comes in pewter or bronze versions, these steins are collectable due to the religious aspect and do not surface too often..